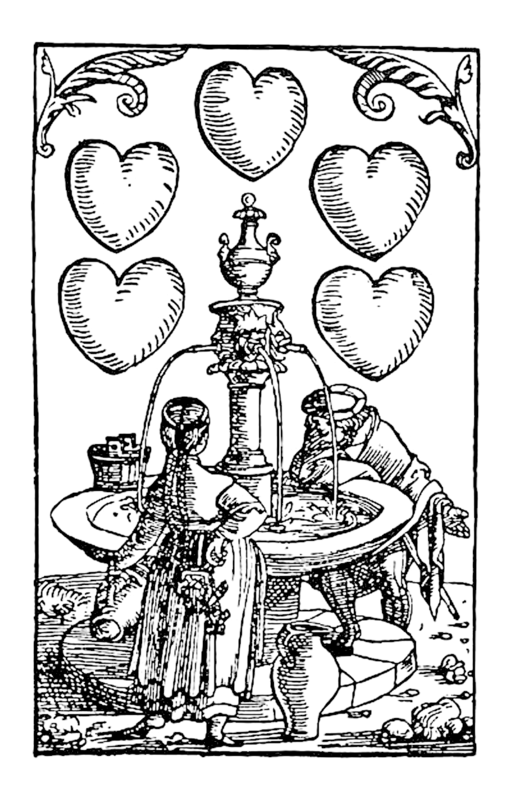 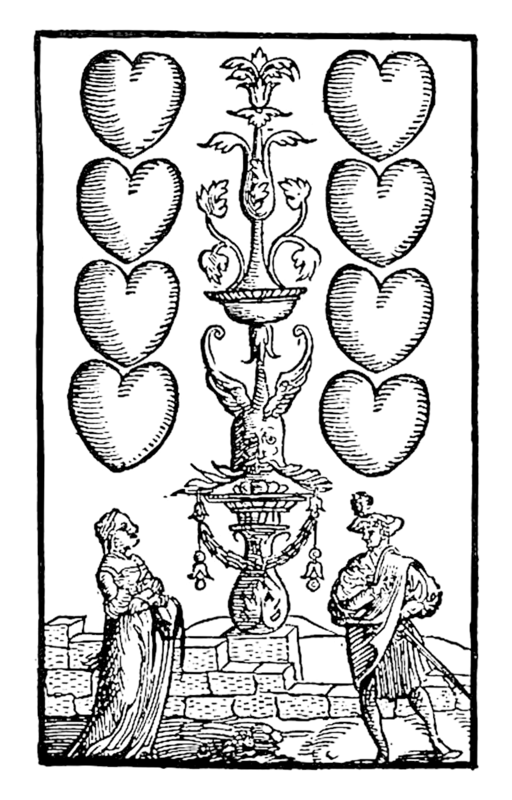 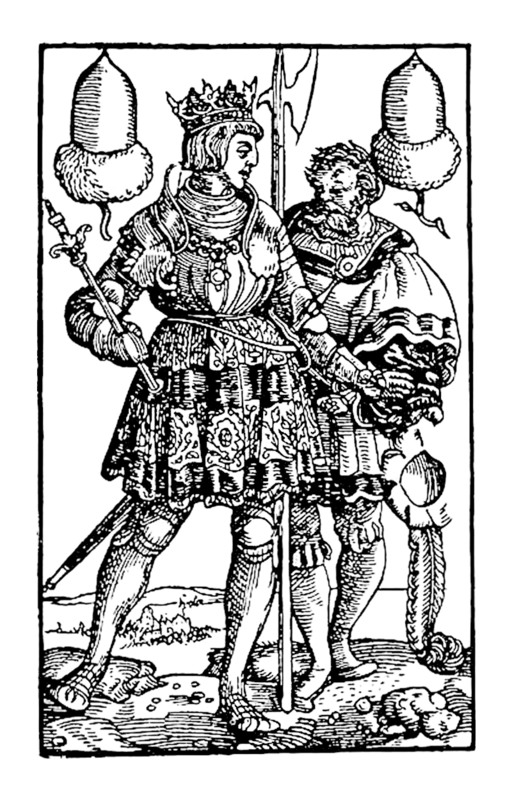 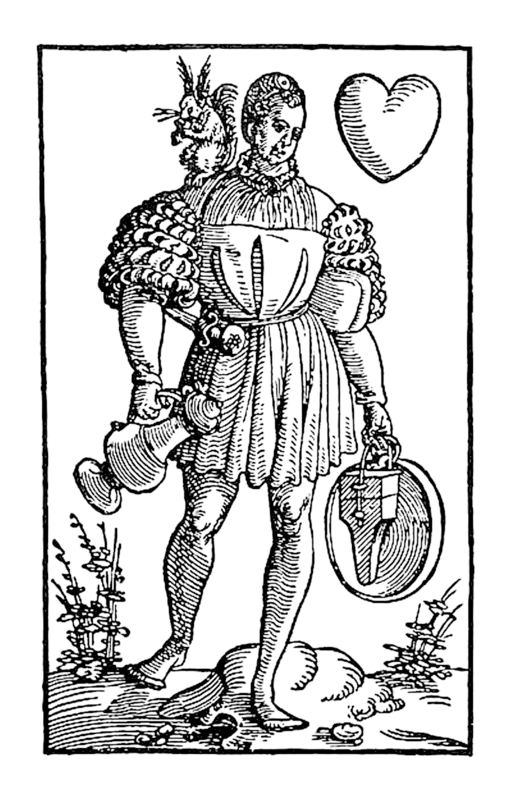 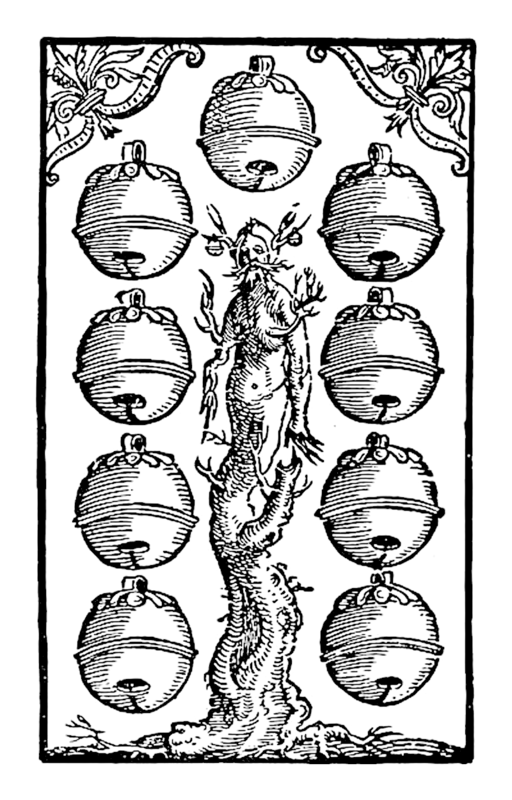 Three editions of this German-style woodcut deck by engraver Peter Flötner survives: a handful of full or partial uncoloured imprints of sets of 36 and 48 cards respectively, as well as one delicately coloured and gilt set, of which 47 cards survive. 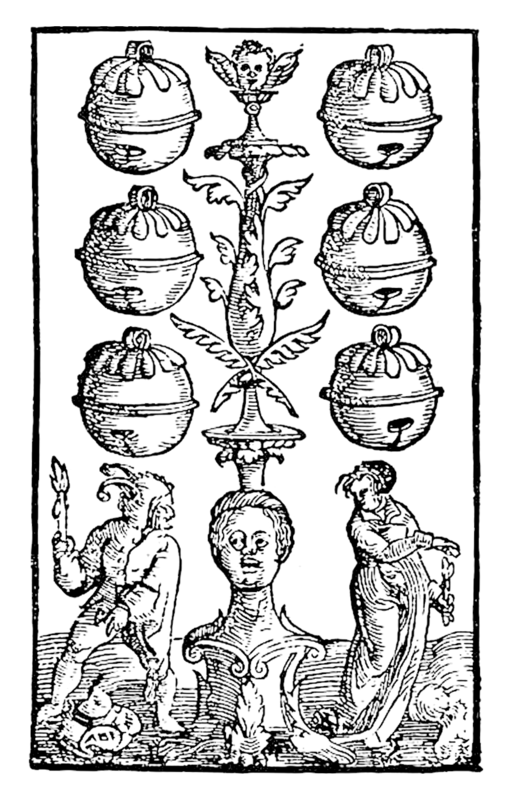 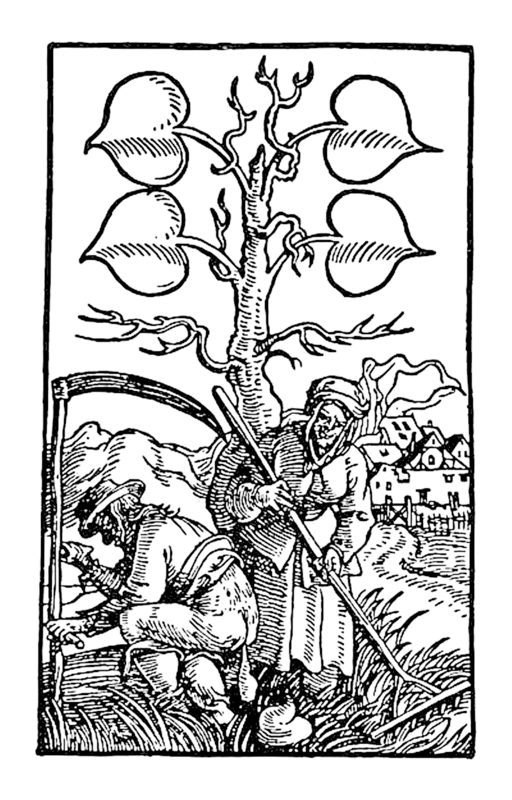 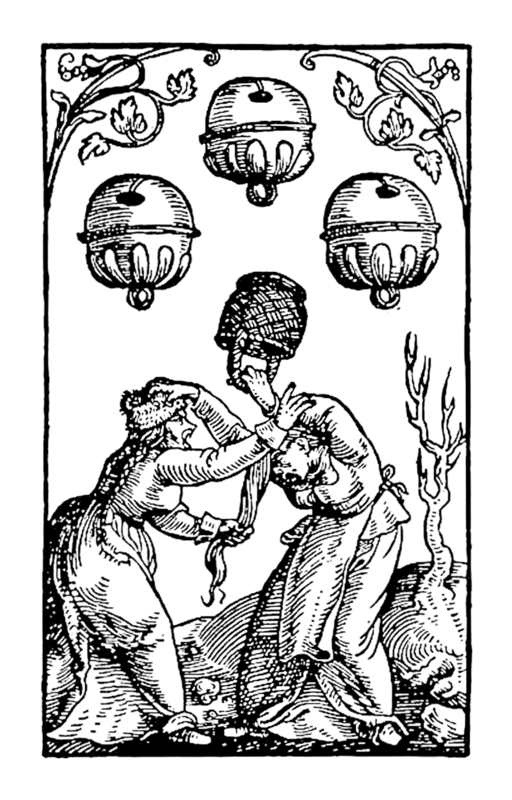 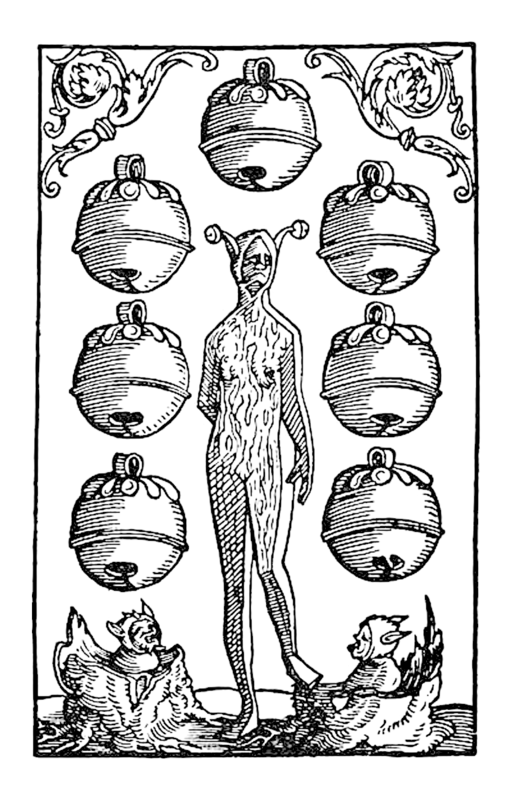 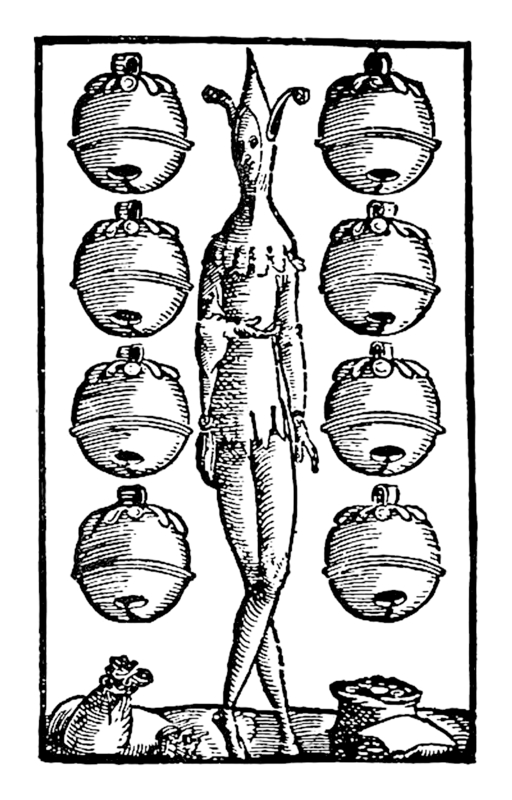 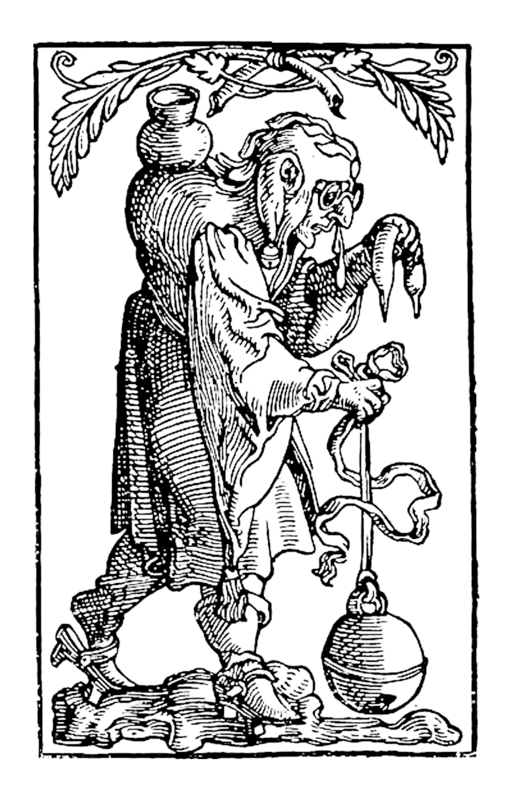 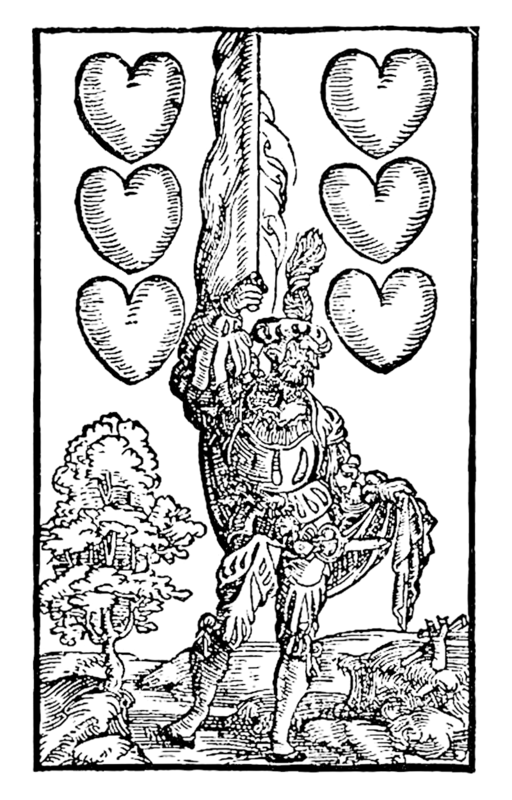 In the latter, the woodcut deuces are replaced by hand-drawn ones contemporary with the colouring. 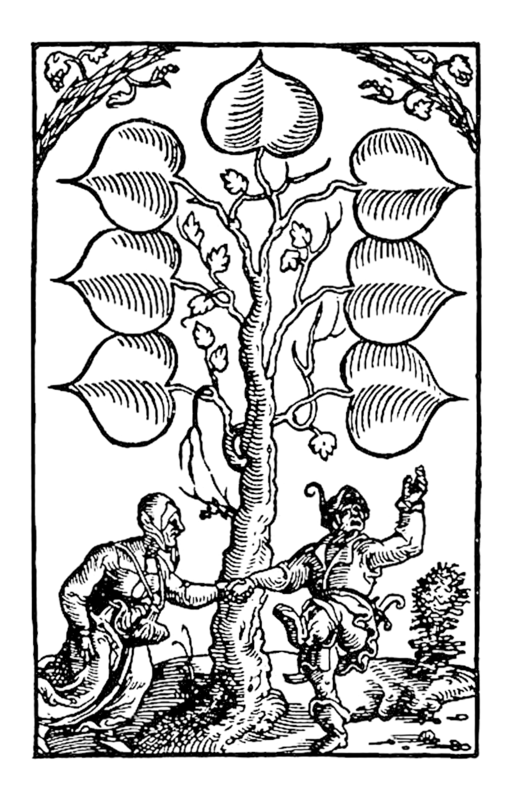 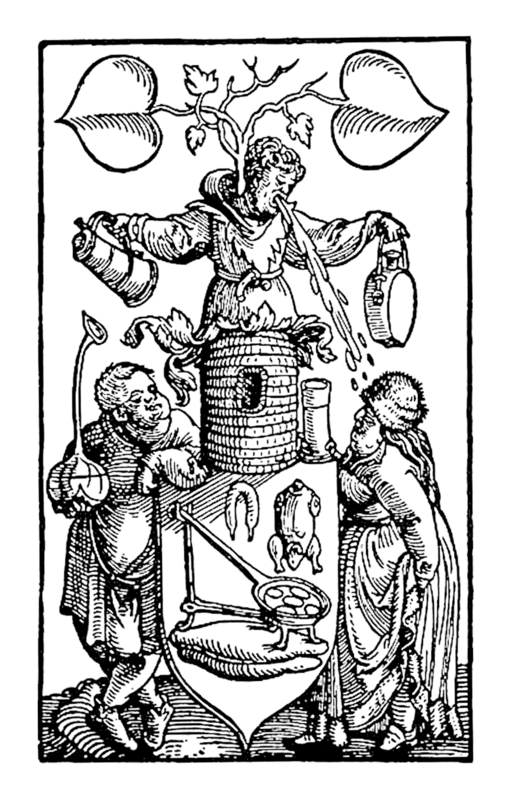 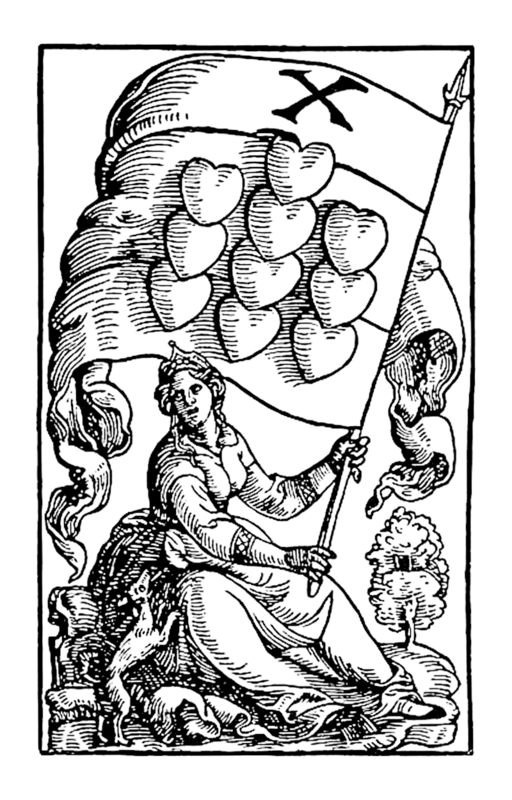 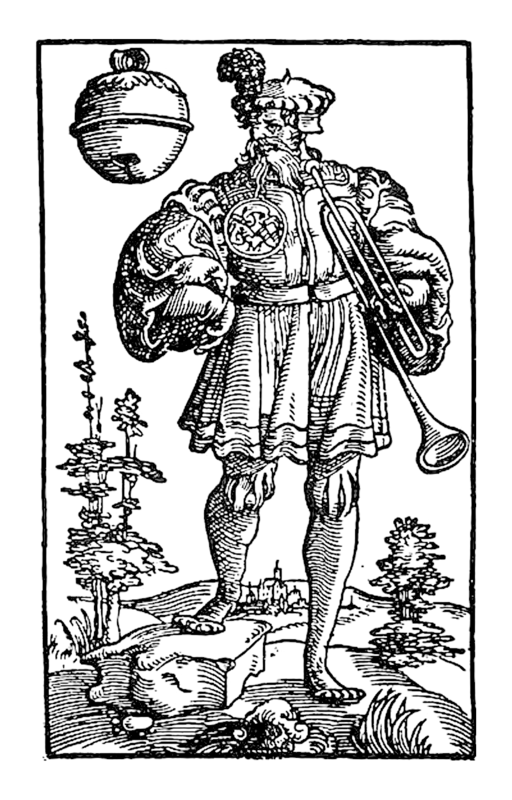 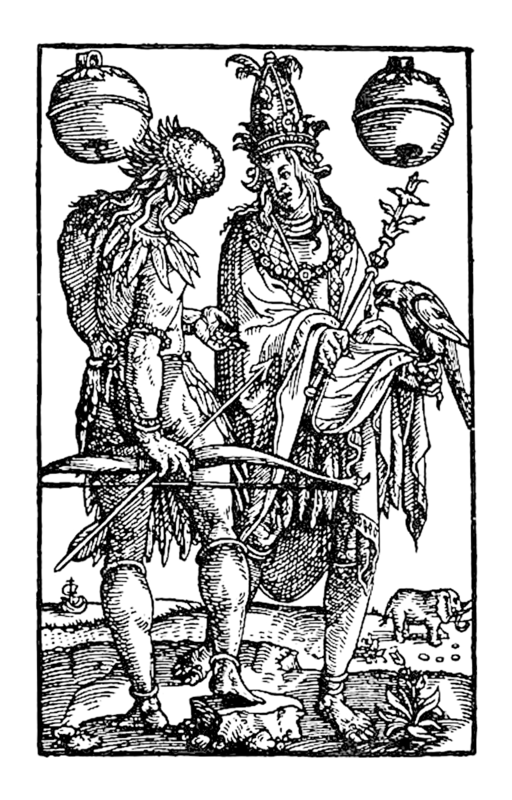 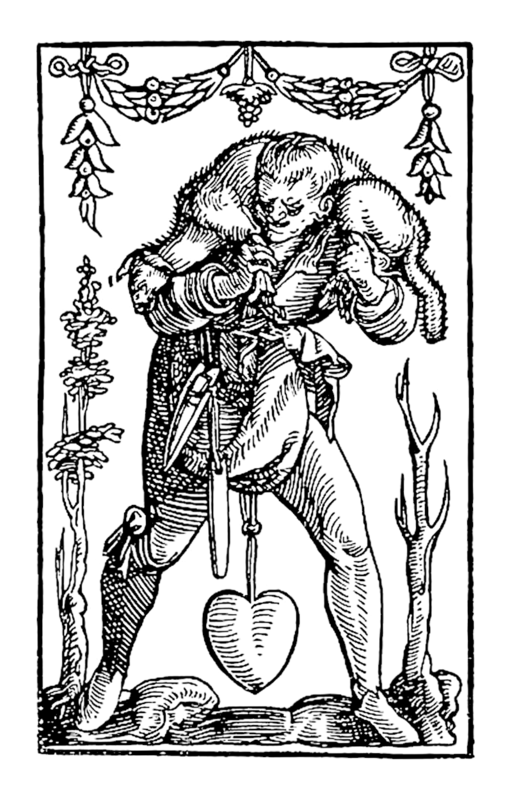 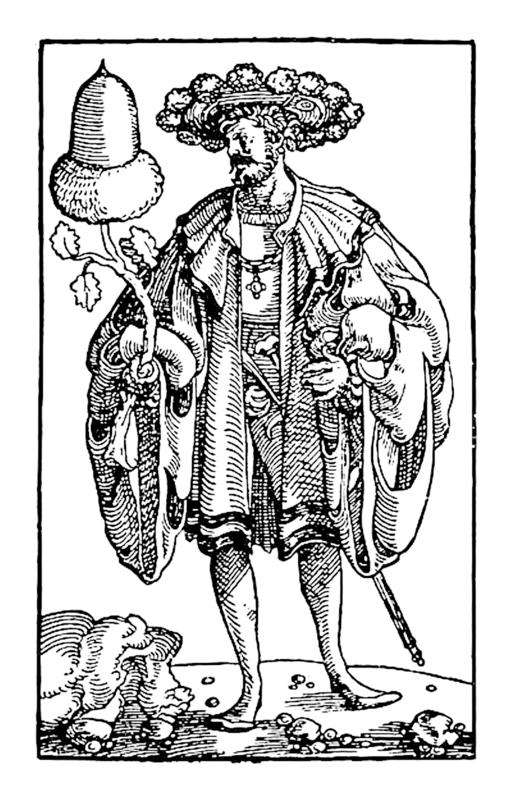 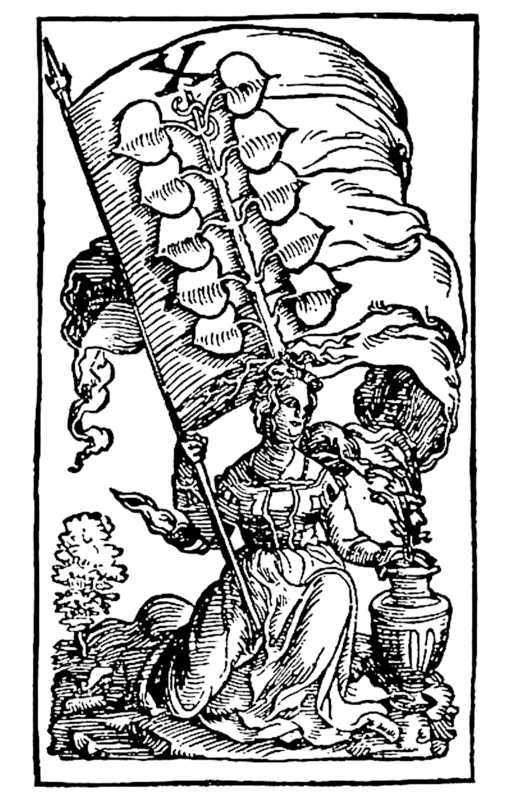 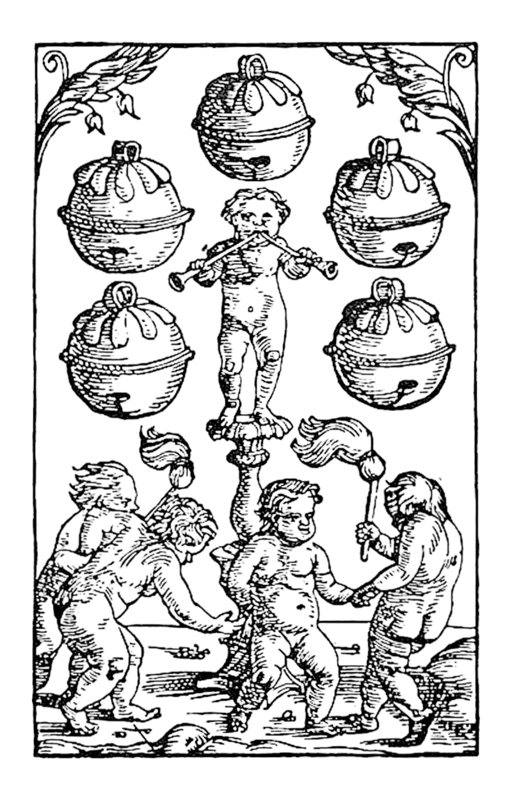 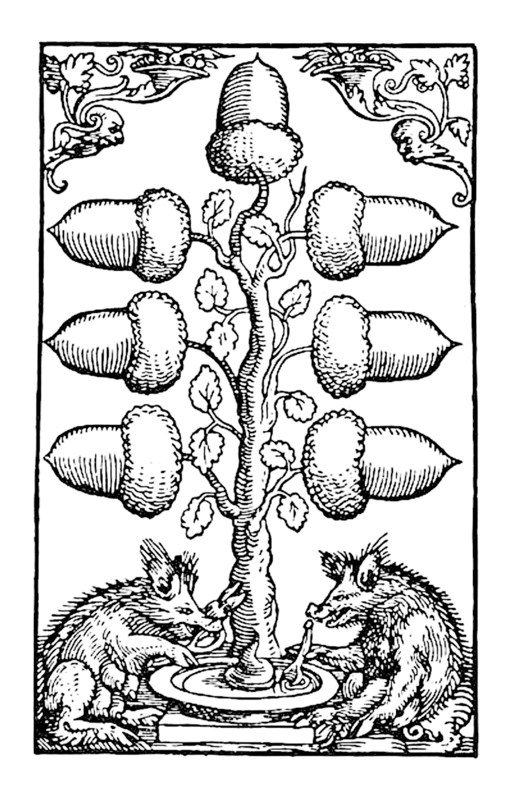 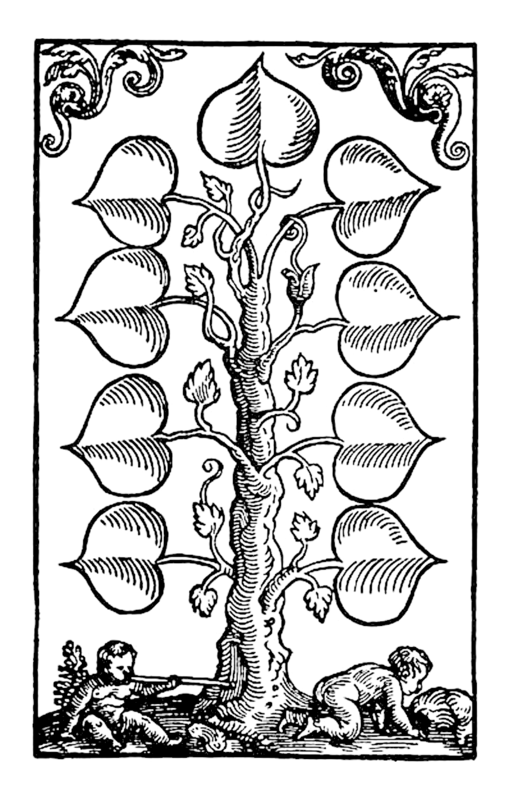 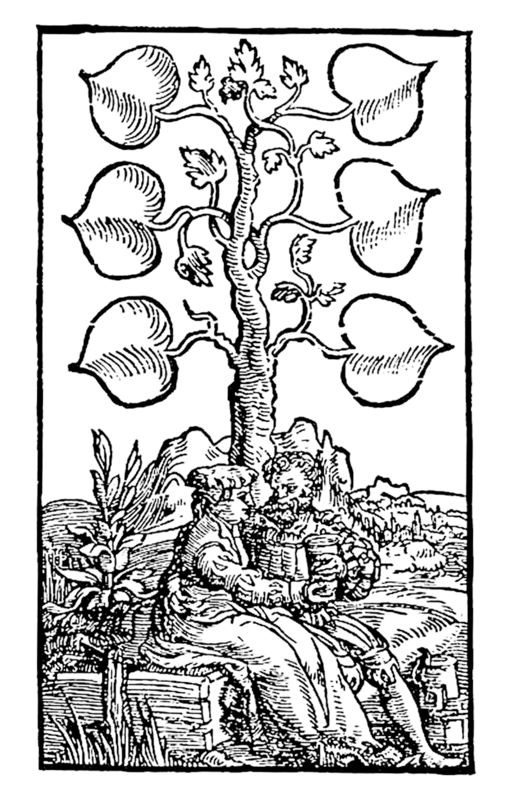 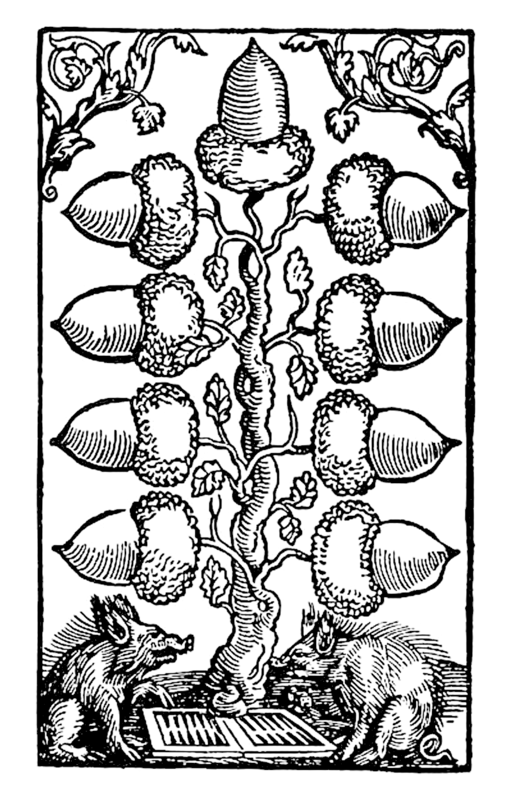 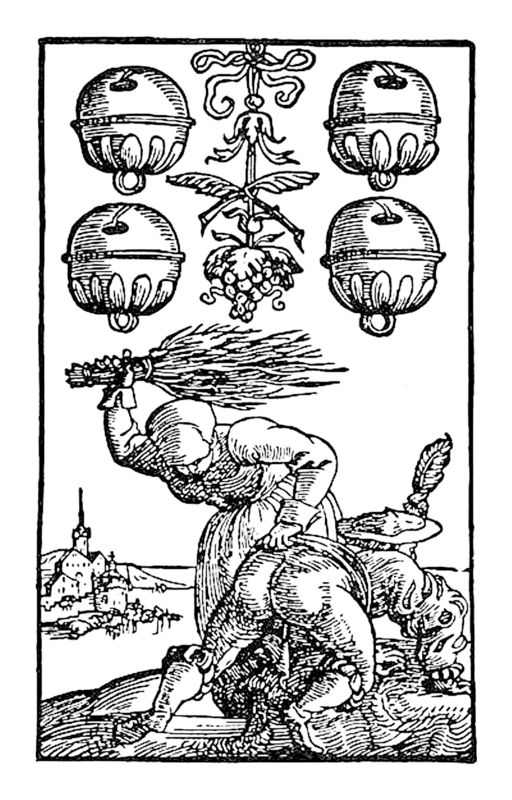 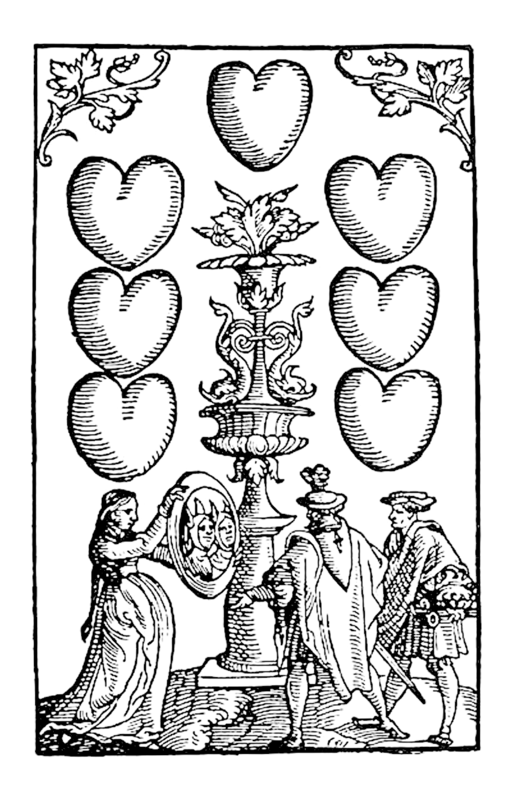 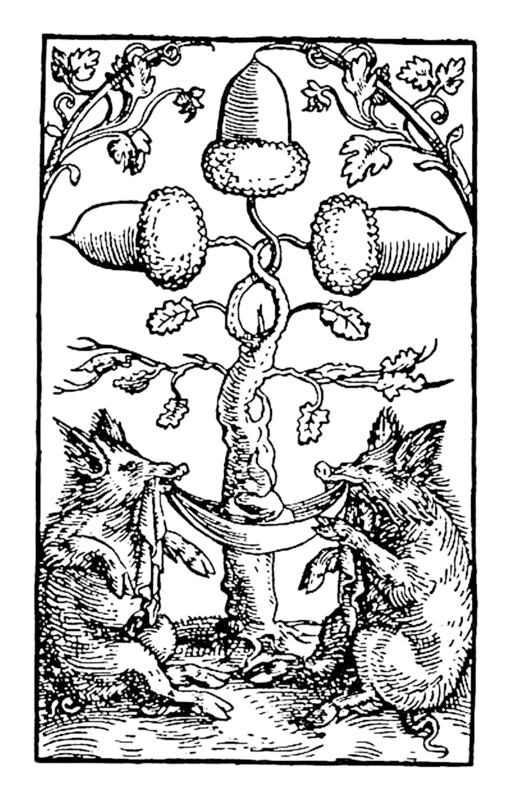 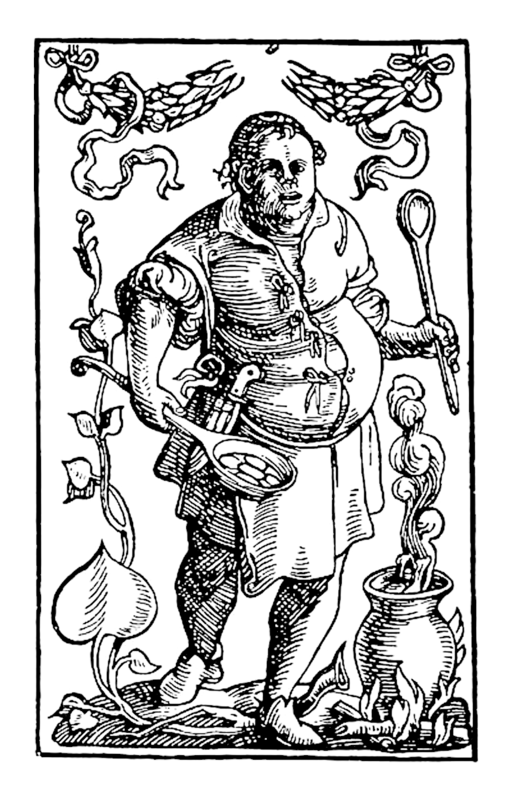 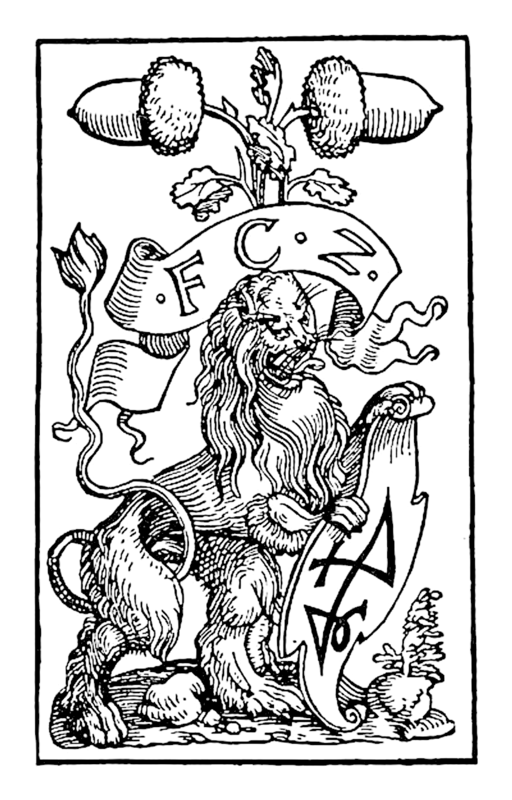 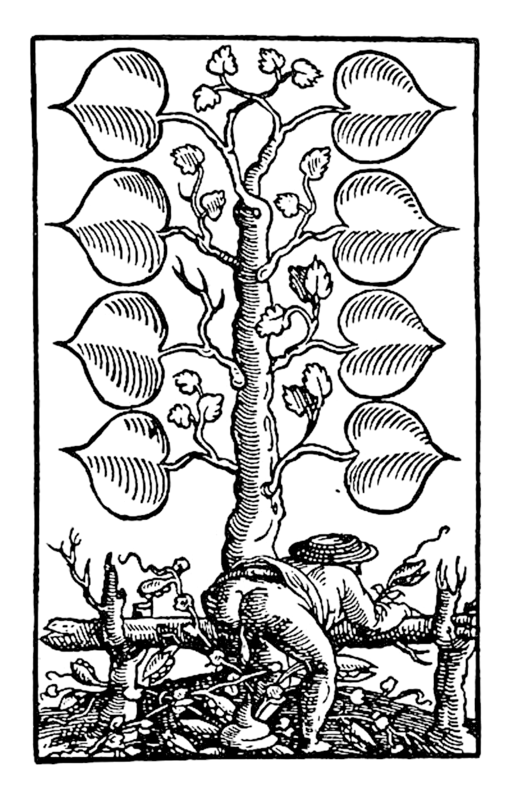 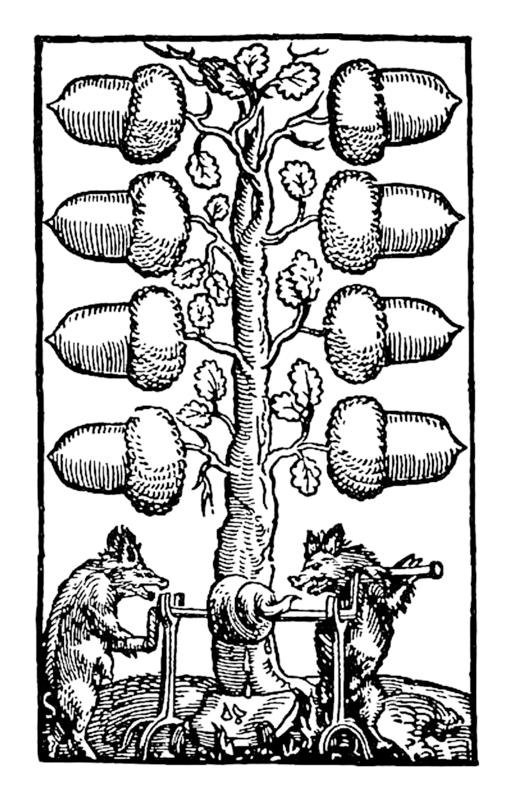 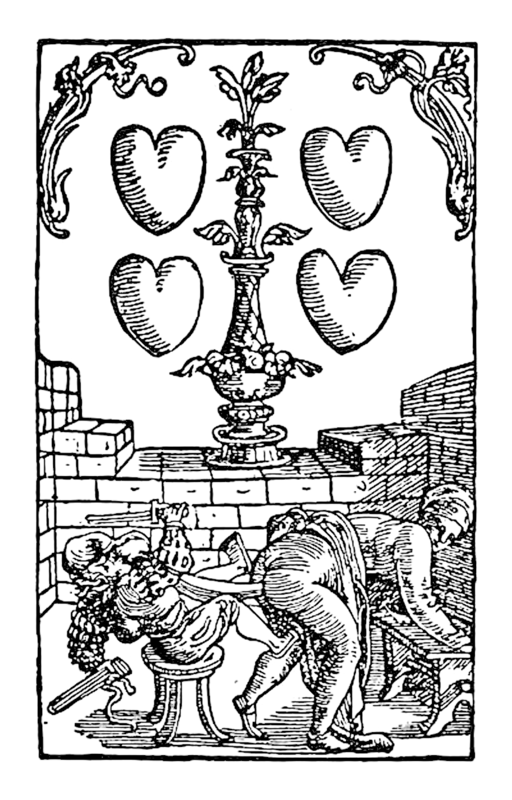 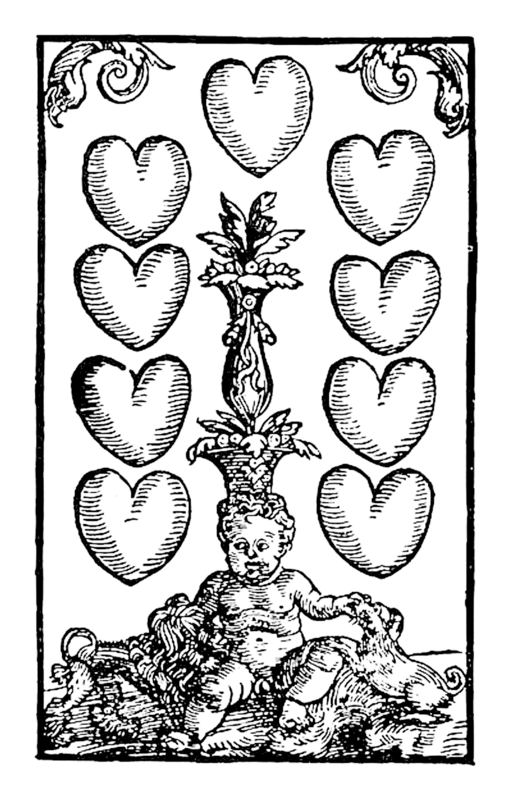 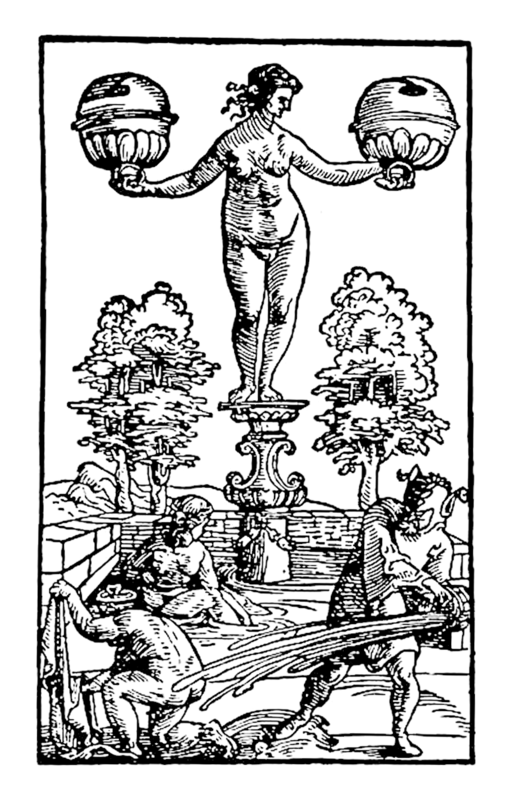 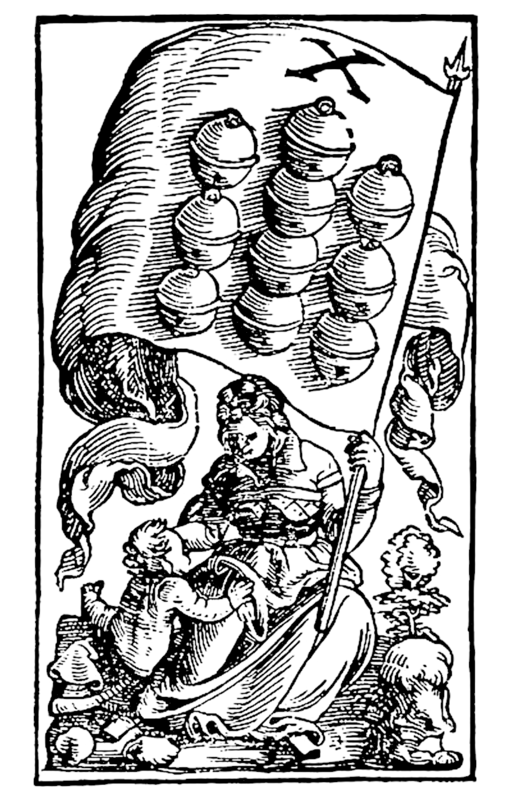 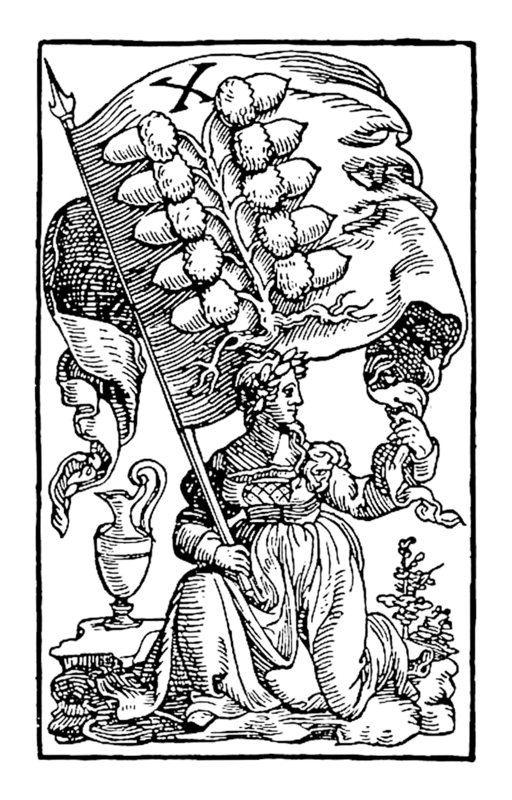 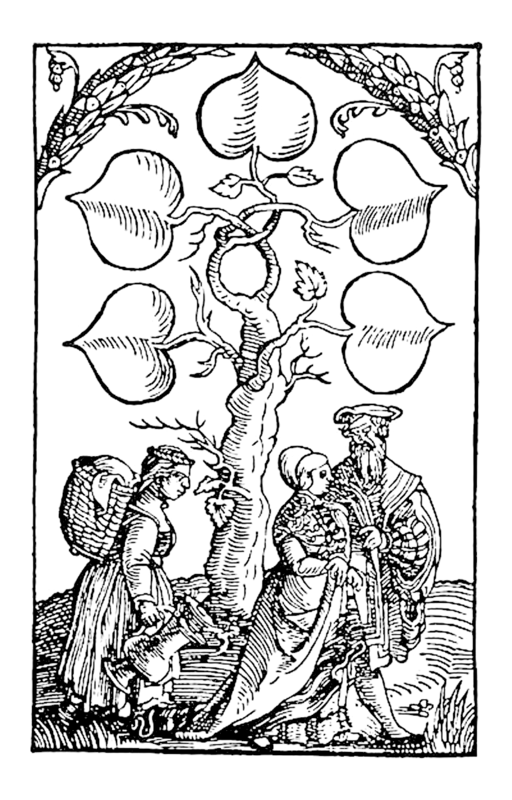 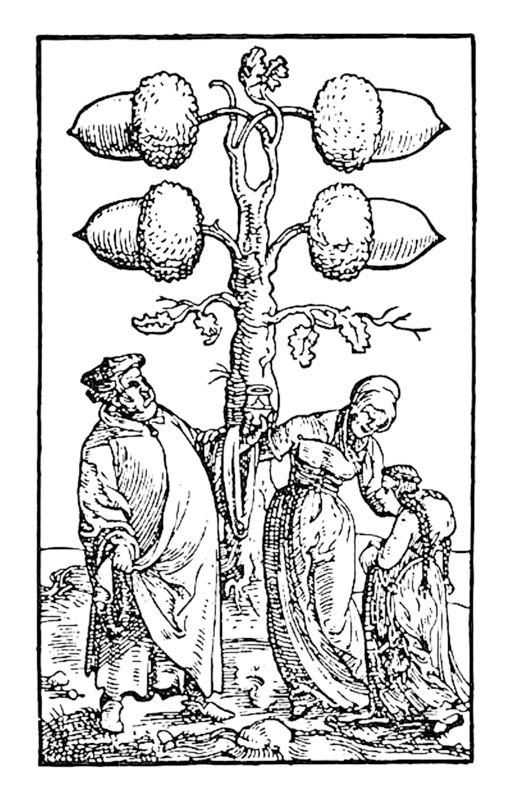 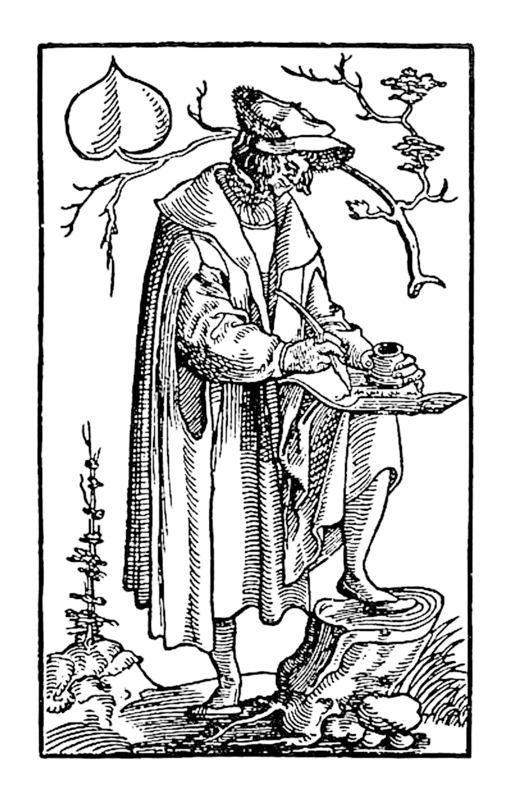 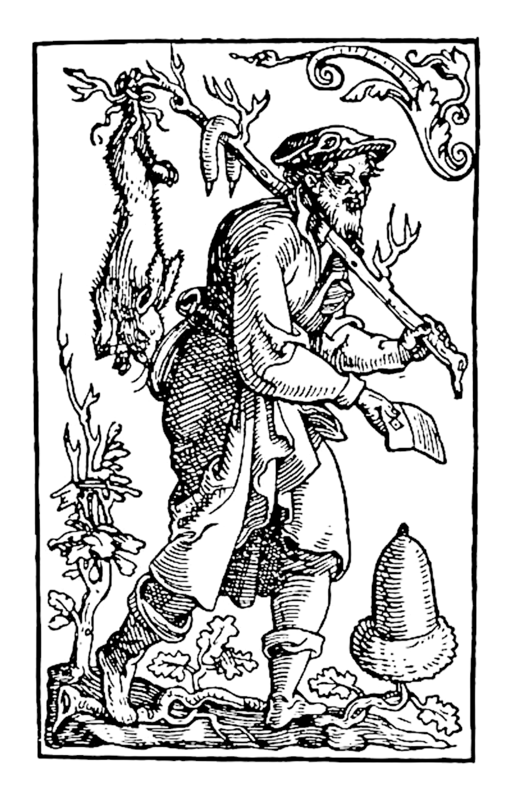 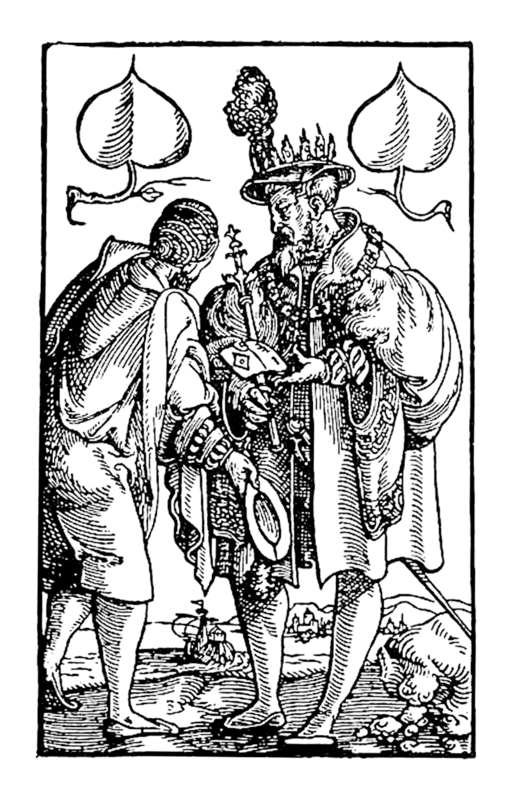 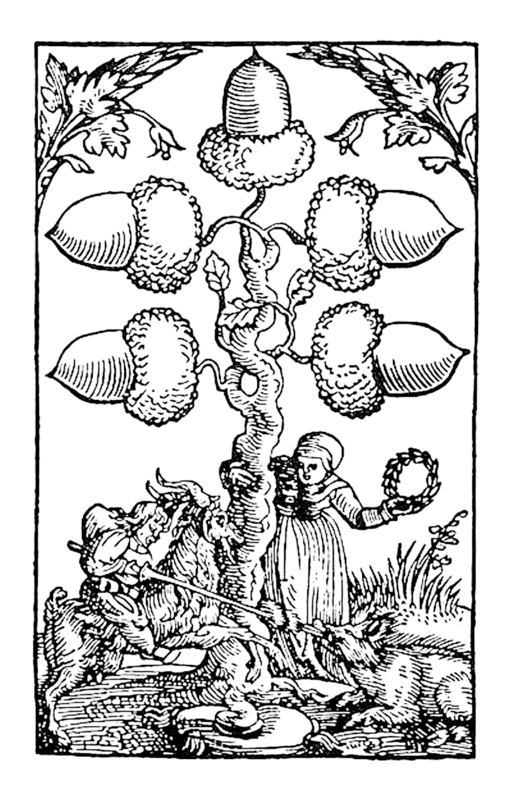 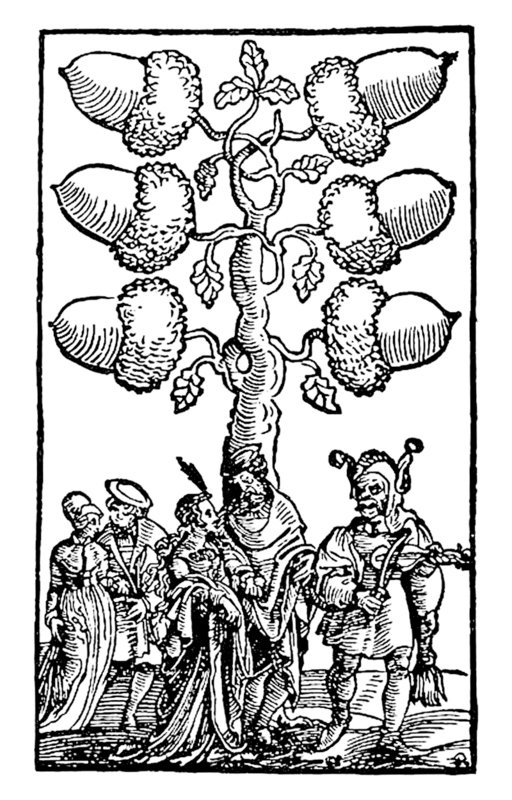 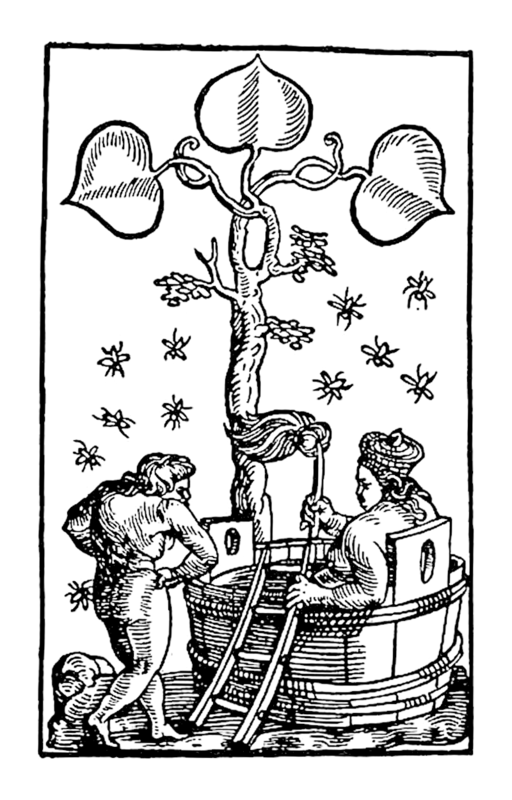 The original deuce of leaves has a banner reading ·F C·Z· , interpreted as Franz Christoph Zell, a Nuremberg publisher active in the period 1527–1543. 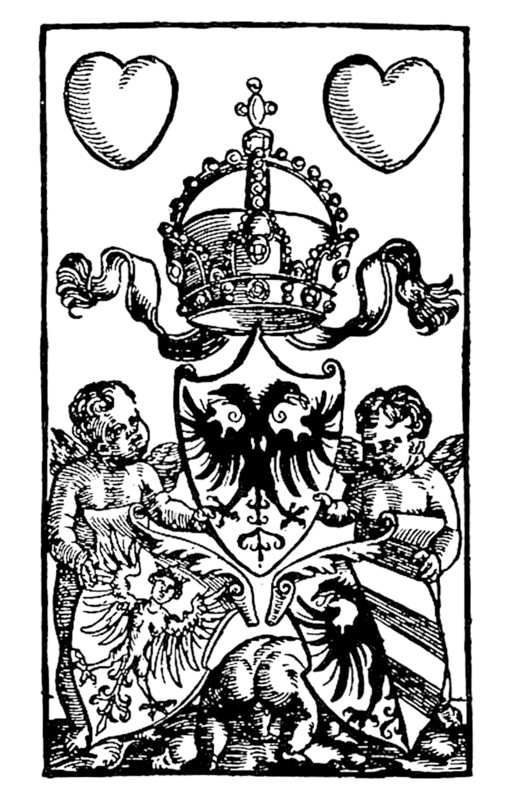 The three surviving deuces from the coloured version all show the arms of the d'Este family, dukes of Ferrara and Modena. 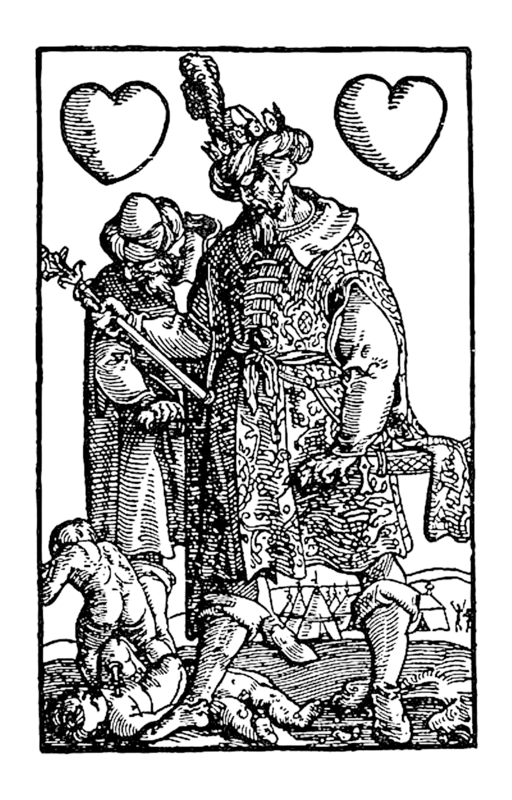 Images from the Berlin Kupferstichkabinett. 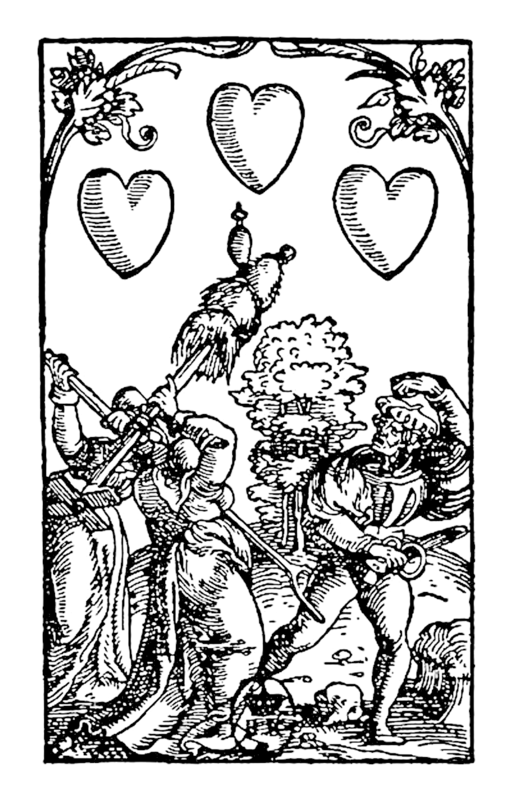 The three of hearts is defaced by a stamp.